Gestational diabetes arises in certain women who cannot overcome the insulin resistance that develops during pregnancy. In most cases, the condition goes away after the baby is delivered. However, women who have gestational diabetes have increased risks of developing Type 2 diabetes later in life. It’s important to note that gestational diabetes is not actually the cause of that long-term increased risk of Type 2 diabetes. In fact, it’s the other way around: the increased risk of Type 2 diabetes was there all along, even before pregnancy, and is the cause of the gestational diabetes. Insulin, a hormone secreted by the pancreas, regulates blood sugar levels. Abnormal insulin secretion can lead to high blood sugar, which is the main characteristic of diabetes. Treatment for gestational diabetes protects the baby from the effects of high blood sugar and from the increased insulin production required to control it. Because insulin is a growth factor, women with gestational diabetes may have large babies, which increases the risk of delivery complications. The increased need for insulin can also stress the baby’s pancreas before birth. Gestational diabetes is treated in pregnancy to try to avoid or minimize the short- and long-term risks to the baby. For mothers, it can provide an early warning of their own health risks. While it may increase the baby’s future diabetes risk, research indicates that gestational diabetes does not add to a woman’s pre-existing risk of Type 2 diabetes. Although the lifetime risk of Type 2 diabetes for women with gestational diabetes may be as high as 50 per cent, it is not a certainty. Research suggests that lifestyle can play an important role in managing those risks for women who have had gestational diabetes. Research using data from the Nurses’ Health Study II looked at the long-term health of study participants with a history of gestational diabetes. That’s one of the reasons Dr. Lipscombe and her colleagues at the Women’s College Hospital Research Institute are studying a preventive program. Now in its pilot phase, it is designed to support new mothers who have had gestational diabetes to make healthy lifestyle changes. 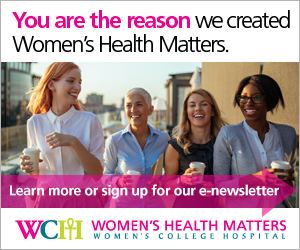 The home-based program is adapted from WCH’s highly successful Women’s Cardiovascular Health Initiative program. It includes telephone counselling and a personal health coach to help women build healthier habits to reduce their long-term risk of Type 2 diabetes. There is no data from the trial yet, but it has completed recruitment. Dr. Lipscombe reports that they have received positive feedback from participants: 98 per cent would recommend the program to other mothers with gestational diabetes, and 96 per cent described their own experience in the study as good, very good or excellent.